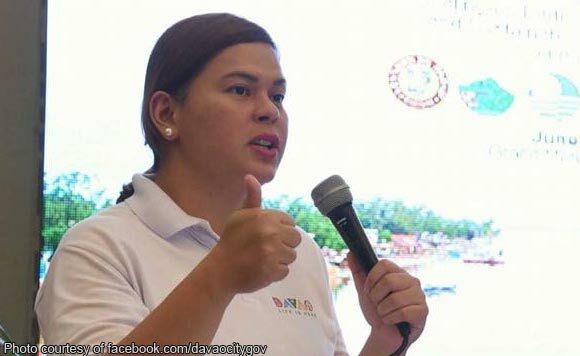 Davao City Mayor Sara Duterte-Carpio has ordered the implementation of “no backpack” policy in churches and other places of worship in the city. The local chief executive made the order following the deadly bomb attacks in a cathedral in Jolo, Sulu Sunday, January 27. “The city mayor has instructed us that churchgoers should no longer bring backpacks in going inside their places of worship for security reasons,” Public Safety and Security Command Center (PSSCC) head Benito de Leon said. He said that churchgoers are instead advised to bring small handbags or purses. “In that manner, we could avoid an incident, wherein some malicious individuals could put in explosive devices in backpacks, the same scheme that happened in Jolo,” De Leon explained. But in the event that bringing big bags could not be avoided, he said that inspection will be conducted. PSSCC has also asked the parish priests in the city to to announce the “no backpack” policy, he said. Davao City will deploy joint forces of the Davao City Police Office, Task Force Davao and the Davao police auxiliaries to man the inspection in the churches within the city. The twin blasts in Jolo killed at least 20 people and injured 102 others.